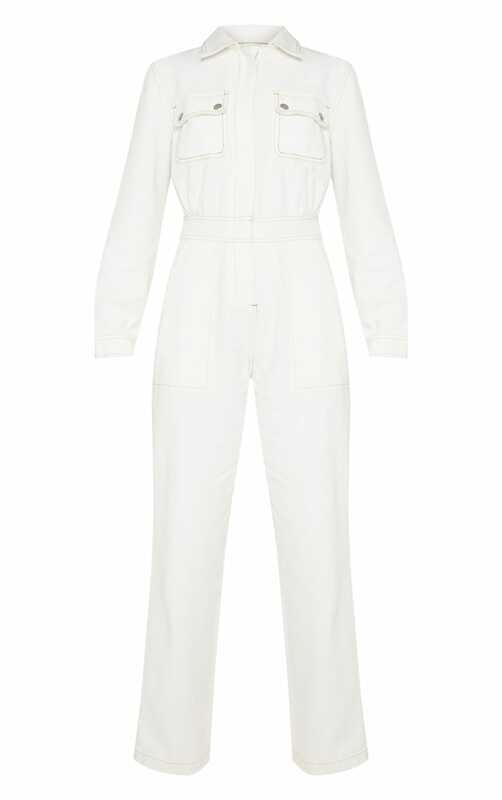 Give your off-duty look a cool vibe with this boilersuit. 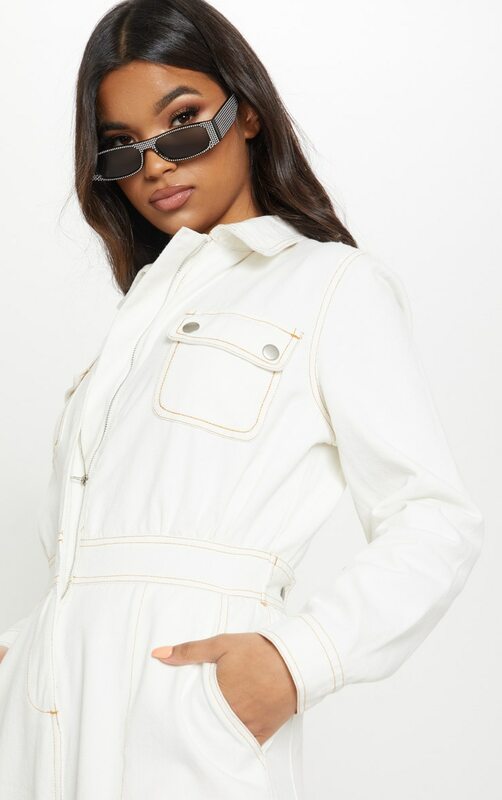 Featuring an ecru denim material with a contrasting stitch, pocket detailing and a zip fastening. Style this with heeled boots and a cross body bag for a look we are crushing on.